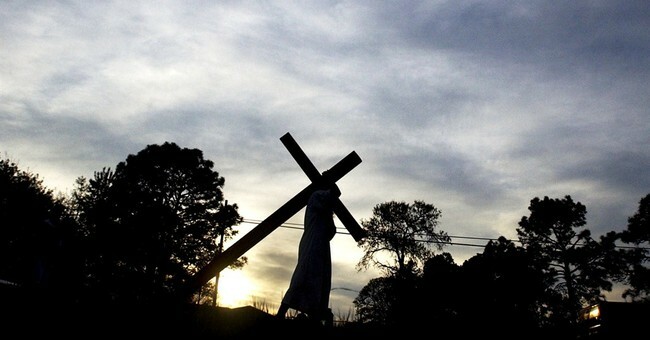 One thousand nine hundred eighty-four years ago, the sky went dark, the earth quaked and a man died on a cross. Martin Luther said that at that moment Jesus was the greatest sinner to ever live. All the sins of the believers in the past, present and future were piled on him to such an extent the sun refused to shine on him. This Easter weekend celebrates the weekend that most historians say is the most momentous weekend in human history. Even those who do not believe Jesus of Nazareth was the Son of God acknowledge that his death and resurrection (or reports of his resurrection for nonbelievers) fundamentally reshaped human history. The rise of Christianity contributed to the collapse of the Roman Empire, the rise of Western civilization and the spread of western culture around the world. I believe in the resurrection. Jesus of Nazareth is the Creator who spoke the world into being. He descended to earth, conceived of the Holy Spirit, born of the virgin Mary, suffered under Pontius Pilate, was crucified, died, descended into hell, then rose again and ascended into Heaven. I believe He will return. I write about this event every year. I turn my radio program, for one day, into a day to talk about the monumental shift in history this event caused. But this year is a bit different. Nearly two millennia ago, Jesus conquered death. Exactly one year ago, death paid me a visit. I went in to a doctor's office thinking I had a heart problem; I had chest pains and shortness of breath. The breathing had progressively gotten worse over the preceding four months and I just assumed it was allergies. I had joined CrossFit only to drop out, unable to keep up. I just assumed I was too far gone -- out of shape and across the threshold of 40. I could not catch my breath in exercises. But the situation grew more dire over time. A year ago today, my wife made me go to the doctor. By three o'clock in the afternoon, I was covered in a bruise from my shoulder to my wrist, down my left arm. A vein had popped when a nurse tried to put a needle in my arm, right before pumping me full of tissue plasminogen activator, a common treatment for stroke victims. No, I had no stroke. But at some point in the preceding number of months, my lungs had slowly filled up with blood clots. My blood oxygen level had fallen below 89 percent. My lung capacity had been eviscerated. The poor technician who performed my CT scan freaked out. "You should be dead," he said. In the ICU, the doctor on call happened to look at my scan on the board. "Have you taken this body to the morgue yet?" he asked in an offhanded manner. That was my body. A year later I still feel the effects of the damage done to my lungs. I am reminded often I cheated death. In the emergency room a few weeks ago with an issue, the doctor attending to me walked in and plainly told me, "I just saw your lung scan from last year. You do know you should be dead, don't you?" It sends a chill down my spine every time. One year ago today, I confronted my mortality. It forced me to assess my life and my priorities. It forced me to realize that if I died before my kids woke, there was so much I needed them to know about me, about life and about their faith. God help them if they googled me to know me. The evil that men do lives on after them while the good is often interred in their bones. Shakespeare was right. The chief lesson I wanted my children to learn is that I love them. This weekend, the chief lesson we should all learn is that God loves us. He spared me the grave last year. But even had He not, He did not spare Himself the grave so though my body will one day expire, through faith in Him, we all might live on.